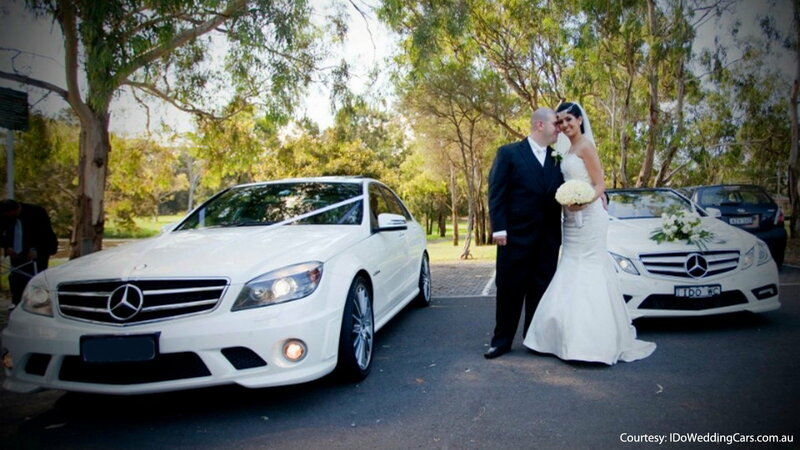 Check out the times the Mercedes-Benz was incorporated into a wedding, and maybe get some ideas for your big day. These two probably bonded over the Mercedes-Benz. It would make sense why they have Him and Her M-Bs. If you are planning to integrate your car into your wedding, take a page from their book and decorate them to represent the bride and groom. For more on this image, click here for the website. 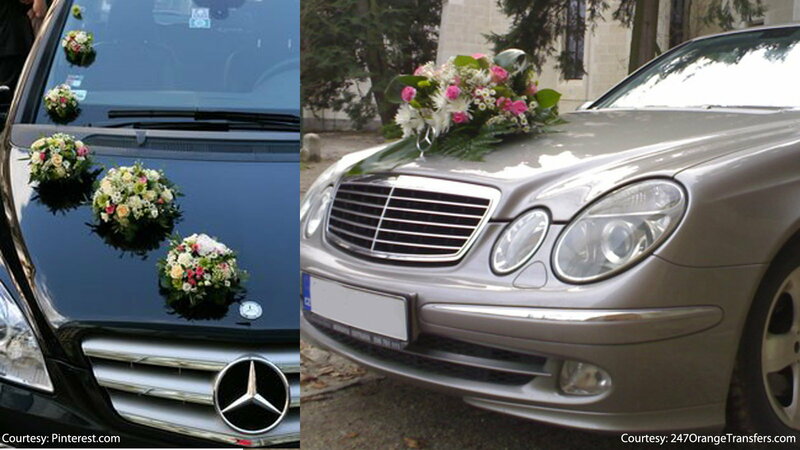 >>Planning to add your Mercedes-Benz for your big day? Share it with us and join the conversation here in the MBWorld forum. This 80's 380SL adds the wow factor in this image. For those who know the couple, they probably find this image as the epitome of love, but for the objective audience, the love lies on what they are sitting on. 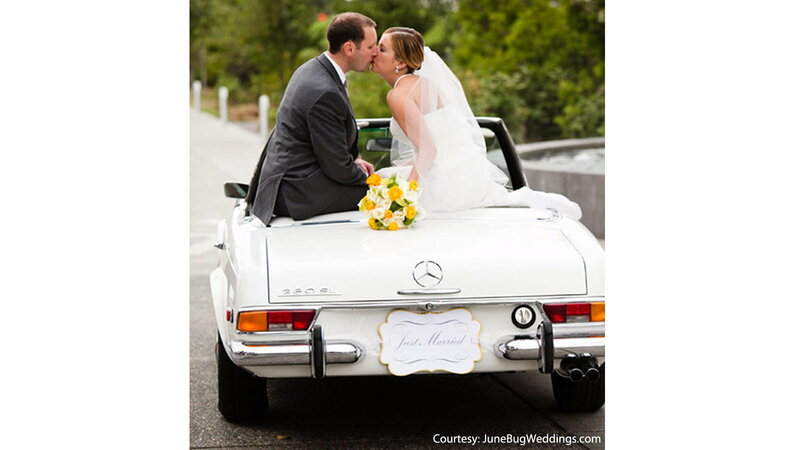 Details were vigorously considered for this wedding, because everything falls into place from the "Just Married" sign to the yellow and white flowers laying on this retro Mercedes-Benz. For more peeks of the Mercedes-Benz 380SL, scroll through the wedding images here. For some just married couples, the excitement comes during the honeymoon. The exterior of the Mercedes-Benz isn't the only thing that can be decorated for the event. The interior can continue the magic and romance of what could possibly be the most special day of your life. 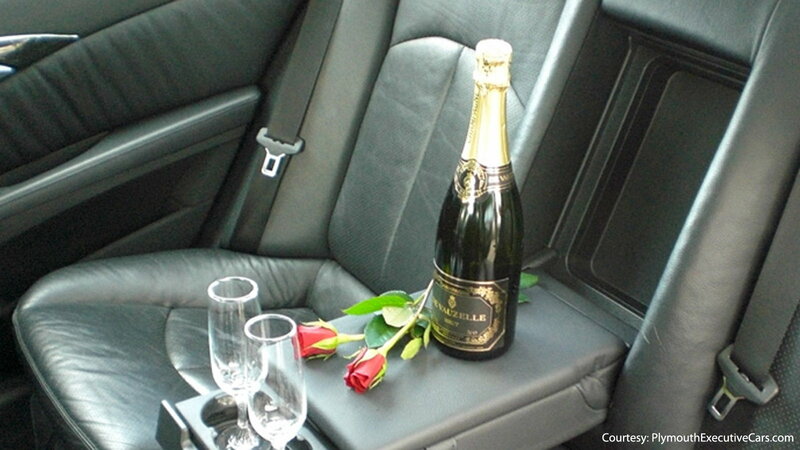 Make sure to hire a designated driver and celebrate all the way to your honeymoon suite from the comfort of the backseat. A person's vehicle is almost always part of their wedding day. Otherwise, where would the "Just Married" sign go? Decorating the exterior with flowers will show people that this is a special occasion and you're about to share the special moment. You can go as simple or extravagant as you want. Why just stop at the flowers? Why not place a classic car underneath those flowers? 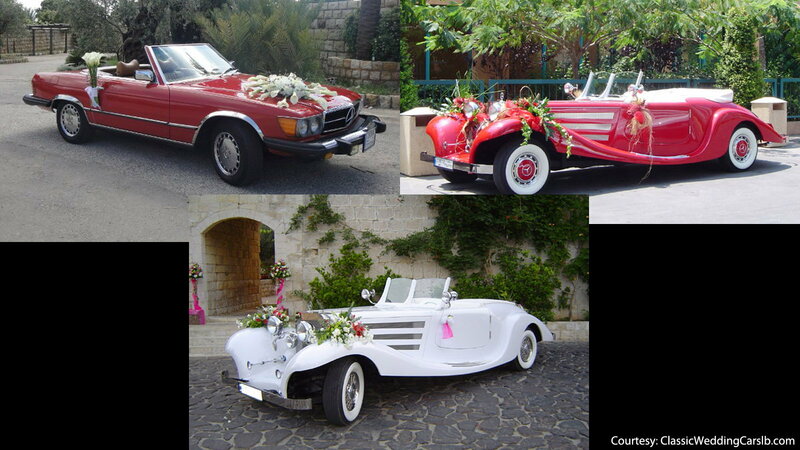 Classic Wedding Cars will make sure the big day amazes your guests with these classics. The 460SL and 500K will definitely add that charm you are searching for.